Hunter for your next purchase? Competitive prices from our handpicked network of luxury watch retailers. Have your watch when you want it, available stock means no waiting lists. Receive multiple offers from a single request - saving you time and effort. Openly compare all offers received on your members page. No hidden fees - we don’t charge you a penny for our service. Openly discuss any received offer with the retailer directly before accepting. Service - bespoke and tailored to meet your requirements. Why should you use Chrono Hunter? Whether you are looking for a new or pre-owned watch we will source the best offers for you and save you time, as we all know time is our most valuable asset. Chrono Hunter is a revolutionary luxury watch platform. The network of luxury watch retailers that will be receiving and responding to your requests have been handpicked to ensure you always receive the best offer without compromising on service. You could look to purchase from a single retailer direct and assume they are offering you the best price or alternatively you could devote your time searching online, spending hours calling up lots of different retailers to see if the watch you want is still in stock while all the time going back and forth to see who’ll offer you a better price. In the first scenario, you have no way of knowing if you got the best deal and in the second scenario, you may not even end up with what you were looking for to start with. This is exactly the reason Chrono Hunter was founded, we want to save you time and money. Would you like to speak to us first? How does buying through Chrono Hunter work? It’s very simple. 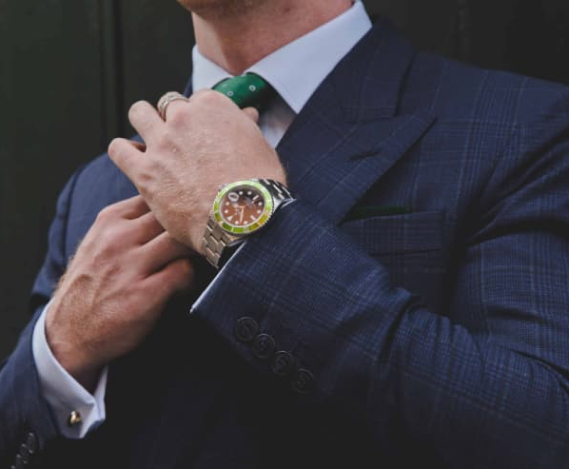 We connect you with a network of luxury watch retailers who are able to source the watch you want. You compare offers and deal directly with the retailer that you choose to make the purchase. Can I buy directly with Chrono Hunter? No, we don’t stock any watches. You will be connected with the luxury watch retailers who can provide the watch you are looking for and you deal directly with them. Chrono Hunter does not handle any customer payment transactions. Can I buy a pre-owned watch through Chrono Hunter or only new watches? You can buy both pre-owned and new watches through the Chrono Hunter network. Some of our reputable Luxury watch retailers specialise in Pre-Owned watches and will be able to help you with any purchase requests. How do you choose the retailers you work with? Chrono Hunter only works with the most reputable luxury watch retailers, they must have a premises and positive trading history. You can be sure you will be in good hands with the Retailers in our network.